Proudly serving the masonry needs of Plantsville, CT and surrounding areas since 2005, Nick's Construction and Masonry LLC is a trusted Plantsville mason to provide of brick, cement, stone, and concrete related construction and repair services for local homes & businesses. Nick's Construction and Masonry LLC offers a wide variety of masonry related services from entry-way step construction & chimney repair to building retaining walls and cement driveways with inlaid brick or stone work. Whatever your Waterbury area masonry project, Nick's Construction and Masonry LLC can build it in the style you desire and with the resilience to endure decades of use and Connecticut weather. Call (860) 266-2609 to schedule a free estimate. "Nick's Construction and Masonry LLC was originally started by my father back in 1950. He was a highly skilled mason and grew this business from scratch. Once I obtained my Bachelor's degree in architecture and business management, I too became a licensed mason. In 1992, I proudly took over his business. 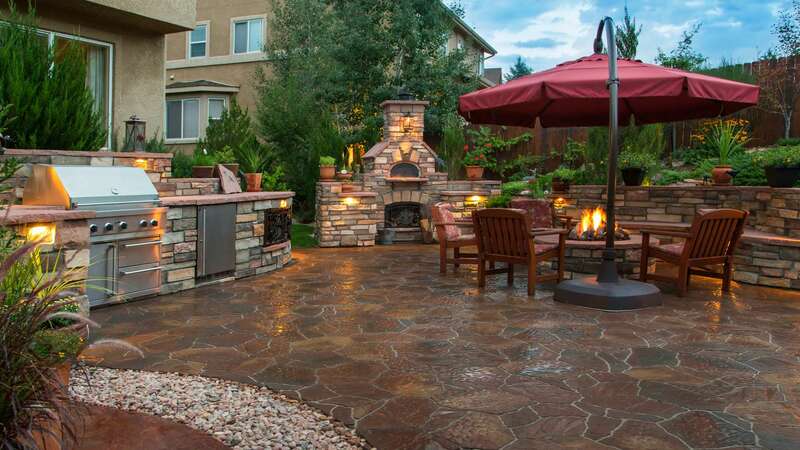 Currently, we provide the Plantsville area with superior masonry services, from brick work to patio construction to wood fence building, but specialize in stone retaining walls and interlocking pavers. We value our customers and take on the responsibility of providing a complete, satisfactory masonry service. Call us. You'll see." Get the entryway to your Plantsville area home that you have always wanted with a handsome slate topped brick and cement front steps. Or may you desire river stone? 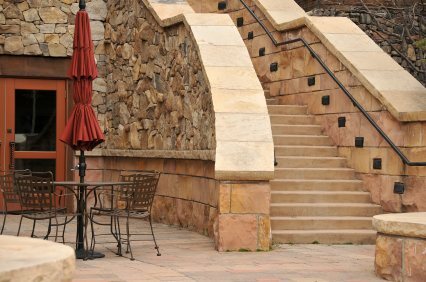 Whatever your taste, Nick's Construction and Masonry LLC can build your outdoor entryway staircase to be durable and elegant! Need a retaining wall constructed? Whether you want cement block, field stone, granite block, or red brick, the masons at Nick's Construction and Masonry LLC can build it quickly and professionally. Maybe an existing retaining wall on your Plantsville are property is crumbling? Give Nick's Construction and Masonry LLC a call at (860) 266-2609 and we'll be happy to provide a free estimate for repair. Nick's Construction and Masonry LLC would be happy to build your new Plantsville area sidewalk! Whether its a walkway to your front door, or to the pool patio, Nick's Construction and Masonry LLC mason's can build a durable, affordable, aesthetic walkway that you'll enjoy year after year! If you need something brick, cement, stone, or concrete built or repaired in the Plantsville CT area, call Nick's Construction and Masonry LLC to discuss your masonry needs.